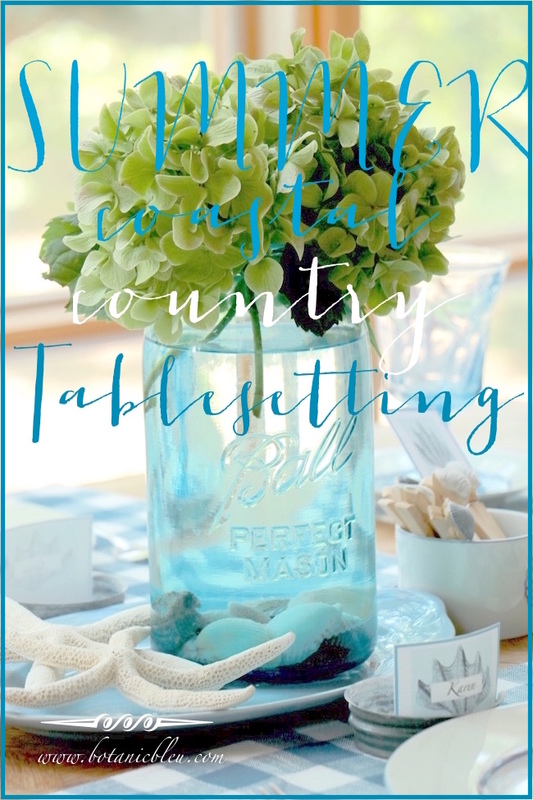 Creating a table setting filled with both coastal and countryside is far easier than you may think. 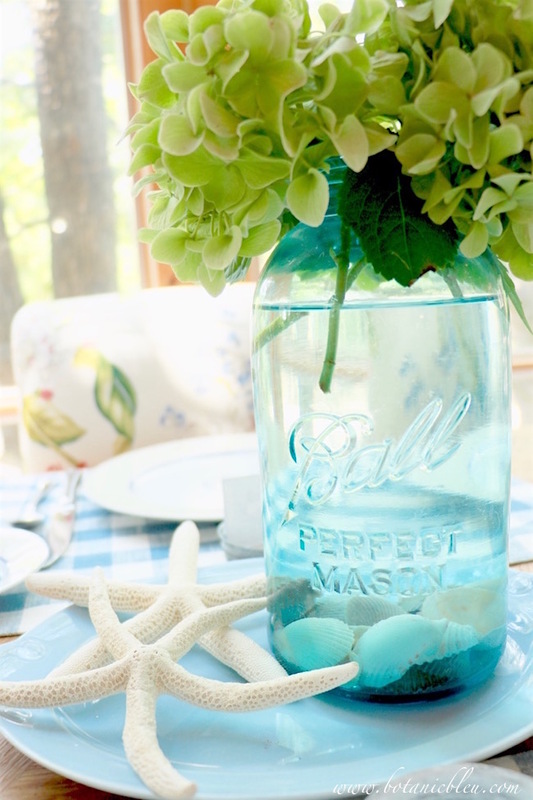 A vintage blue-tinted canning jar is the heart of joining sea and farm. The blue-green cast of the jar gleams like tumbled sea glass washed ashore, and the Ball PERFECT MASON inscription spells home-canned country goodness. 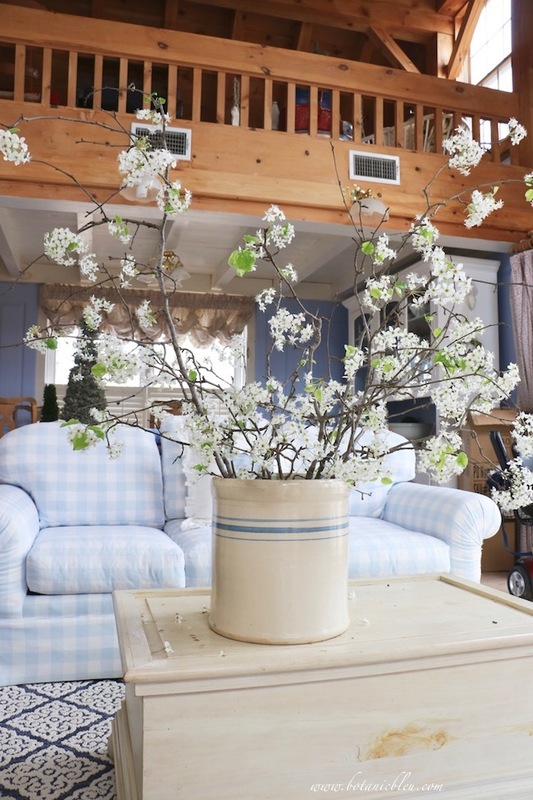 The fruit jar with green hydrangeas at the top and collected small seashells at the bottom blend the two styles together in a small centerpiece. 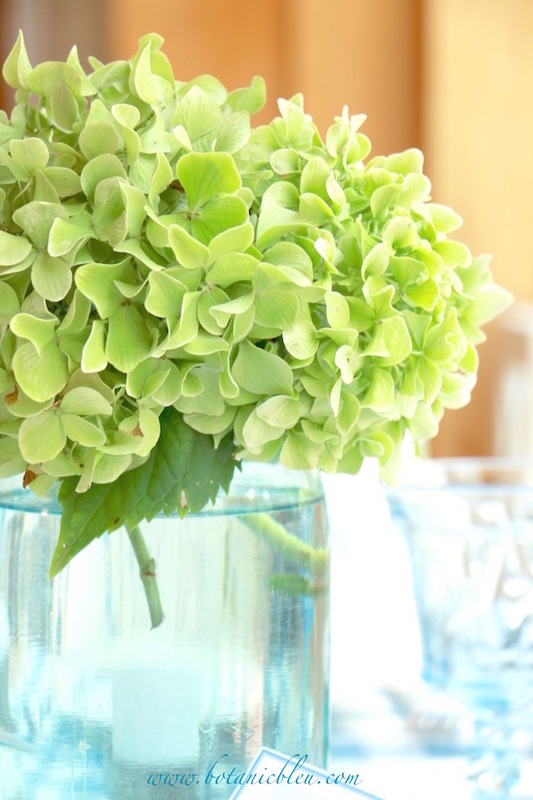 The hydrangeas were blue when they first bloomed, but turned green as their color faded. 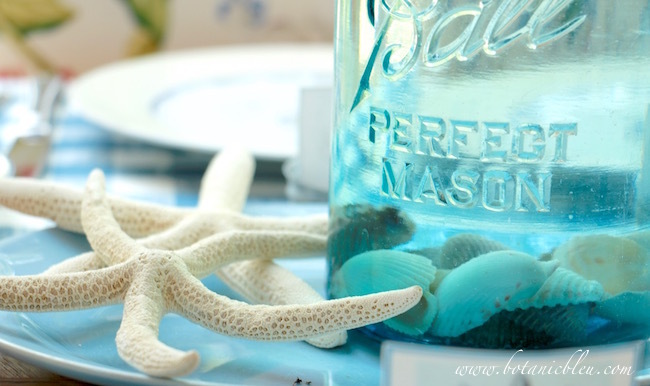 A small vintage blue platter is the perfect size to fit between place settings on a small table and has room for two white starfish to add more coastal accents. 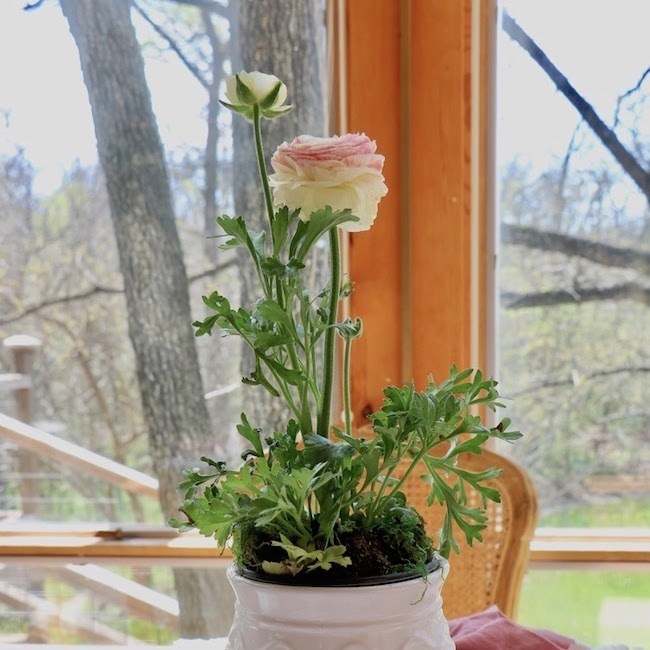 TIP: Always set water-filled containers on a non-porous surface to protect wood tables. Think about other items in the same room when setting tables. 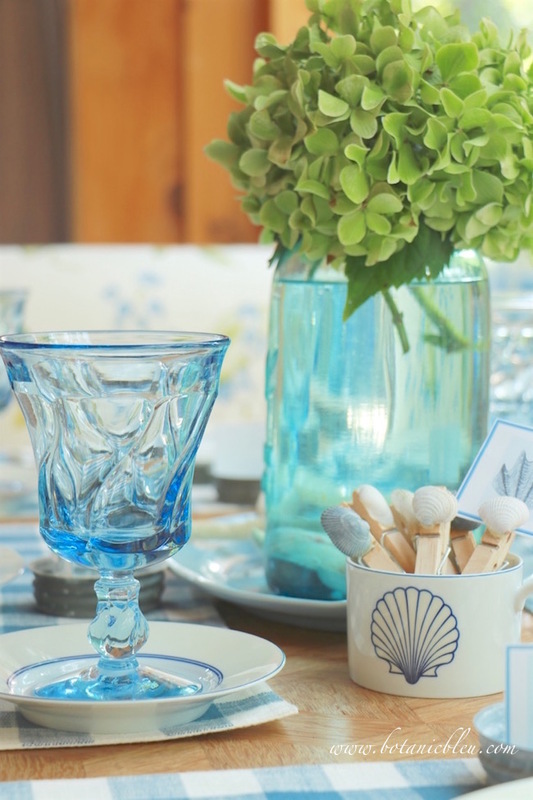 Blue bottles and a cloche on the nearby white shelves complement the coastal and country style of the tablesetting. While most people may not consciously notice the coordinated look of the shelf contents with the tablesetting, the brain registers other things in the same area. Uncoordinated spaces cause the brain to jump around instead of connecting the objects. When a room is coordinated, people subconsciously feel more at ease and comfortable. A coordinated space does not have to have matched items, just items that complement one another. 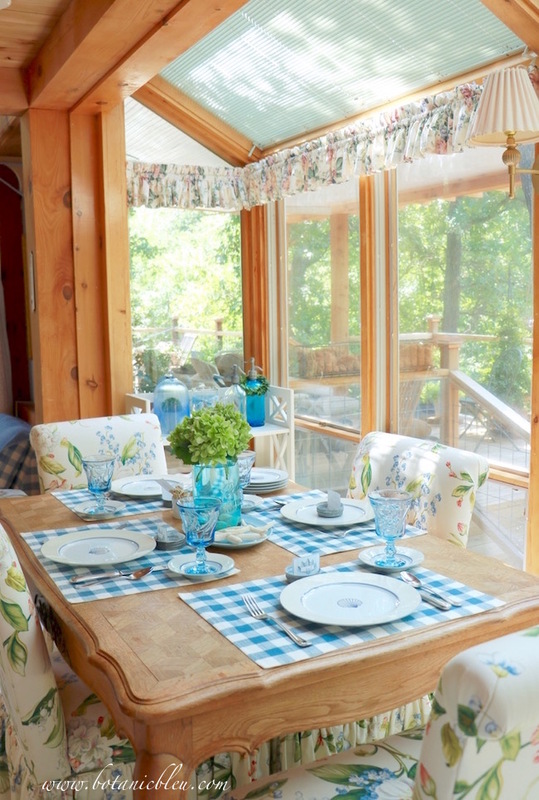 Blue color with the greenery unifies the shelf, tablesetting, and upholstered chairs. 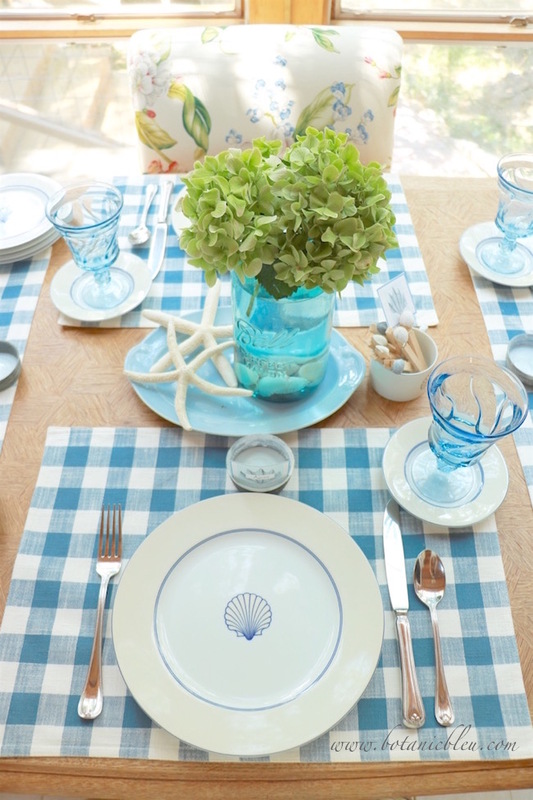 Blue and white checked cotton placemats are reminders of country picnics and coordinate with the coastal-style blue, white, and cream shell-decorated plates. Place cards are a fun, easy, and low-cost way to add another dimension to a tablesetting's overall theme. 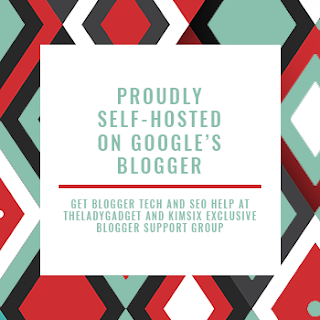 Thanks to The Graphics Fairy, there are thousands of free designs from which to choose for inexpensive Do-It-Yourself projects. 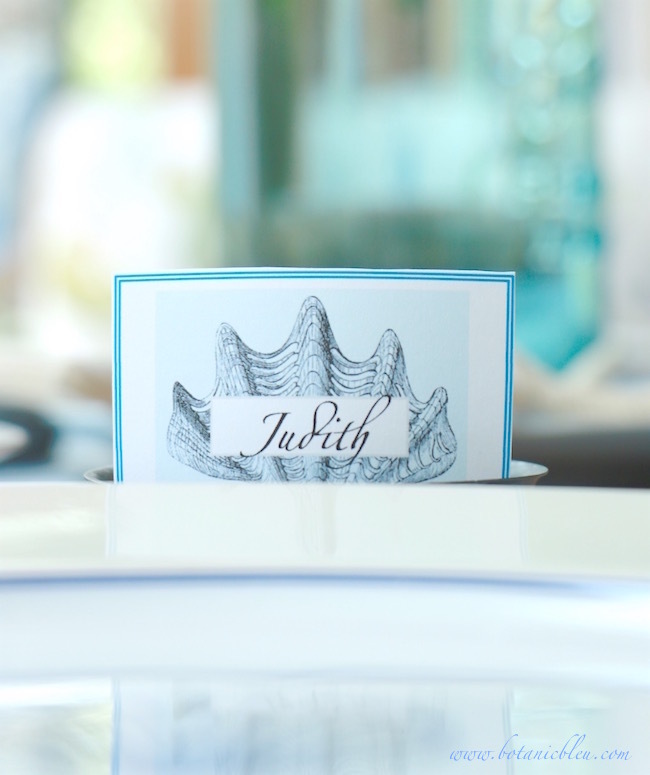 TIP: See a link at the end of the post for a sheet of eight shell place cards that you can download for free. Print on white card stock and hand write names on the place cards. 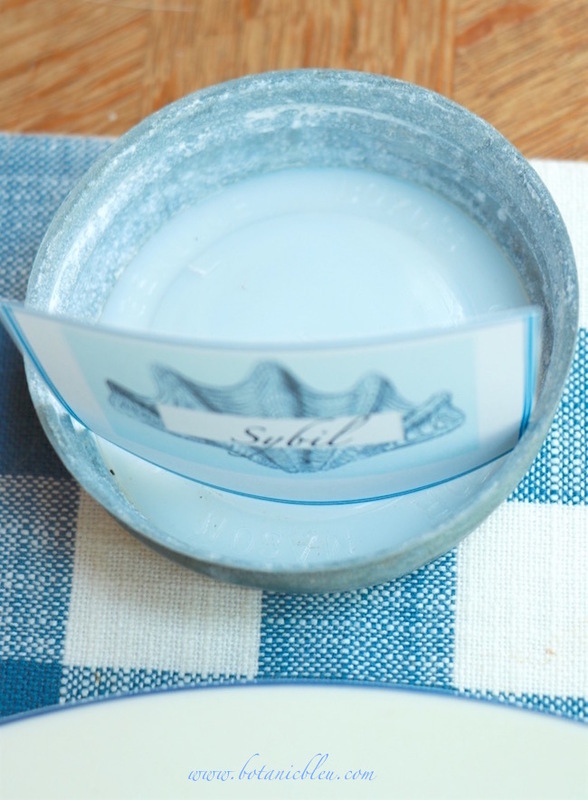 A vintage zinc and porcelain canning jar lid makes a nice place card holder that connects the coastal look with a country look on the table. 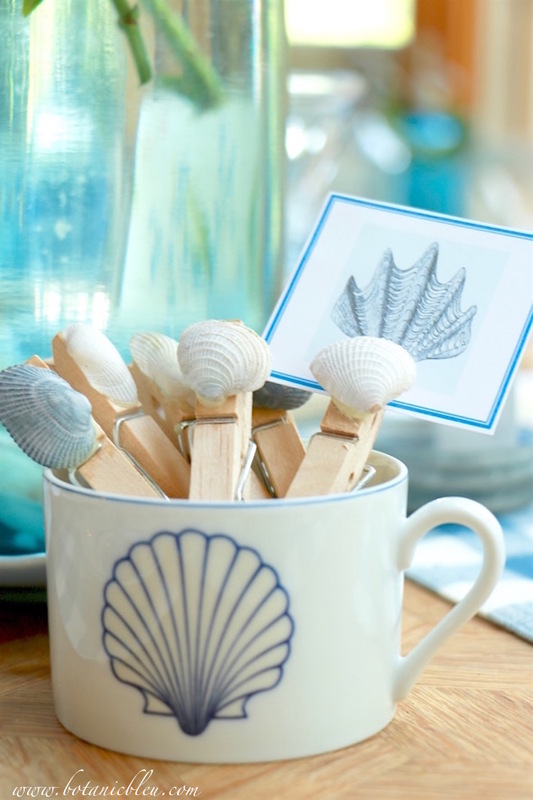 A shell-design coffee cup filled with Do-It-Yourself shell clothespins adds a little summery whimsy. It's the little things that make a tablesetting extra special. See a post in a few days that shows step-by-step instructions on how to create the shell clothespins. 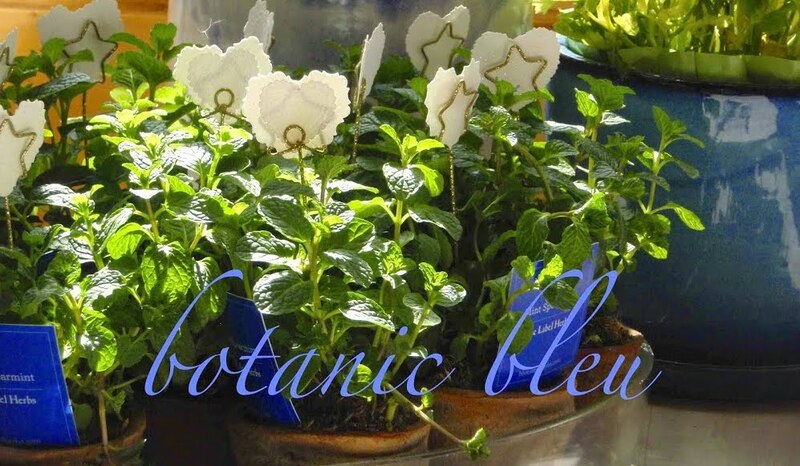 These would also make special place card holders. Blue Fostoria glasses give an illusion of sea waves with their medium blue color and swirled design. TIP: Small saucers from cup-and-saucer sets can be used as coasters. They coordinate with the plates and protect a wood table from condensation. 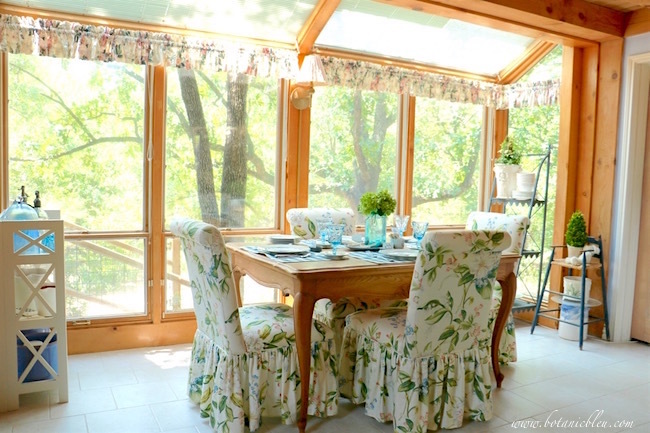 Summer fills the breakfast sunspace with an amazing view of the green trees through the wall of windows. Gazing at green trees, blue skies, and aqua waters never gets old. More coastal looks and posts are coming your way in the next few days. 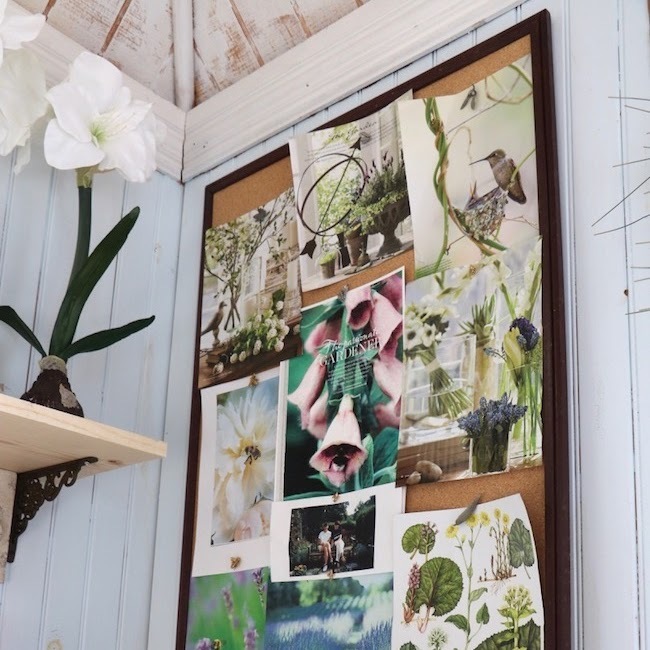 Check back to see the DIY tutorial to create the shell clothespins. 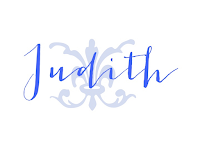 Another post is coming that shows how I found a way to blend coastal design with French and shows how I created a French script coastal banner, with a free printable for readers who want to make one of their own. 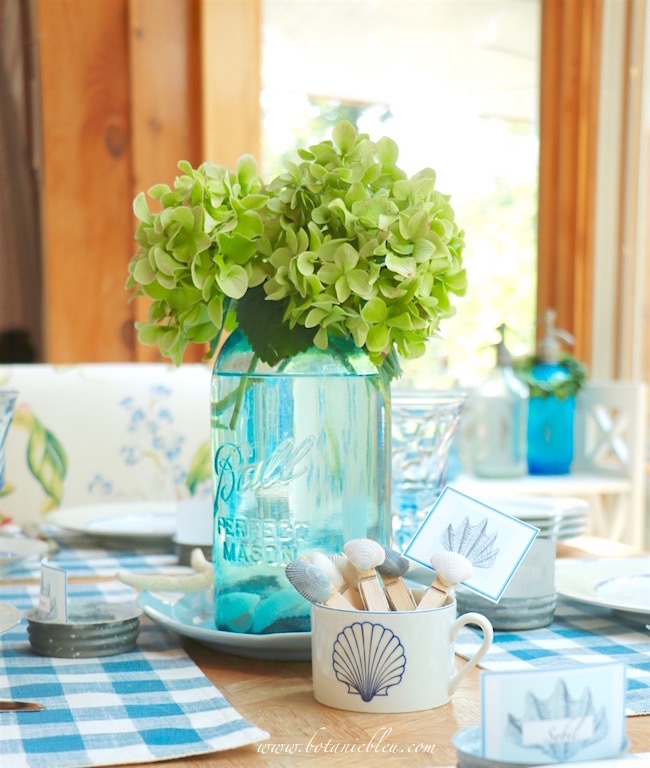 You may also like How To Bring Coastal Summer to a Deck. Your room is so beautifully styled cool and coastal. The temperature drops to a breezy 70 degrees at first sight! 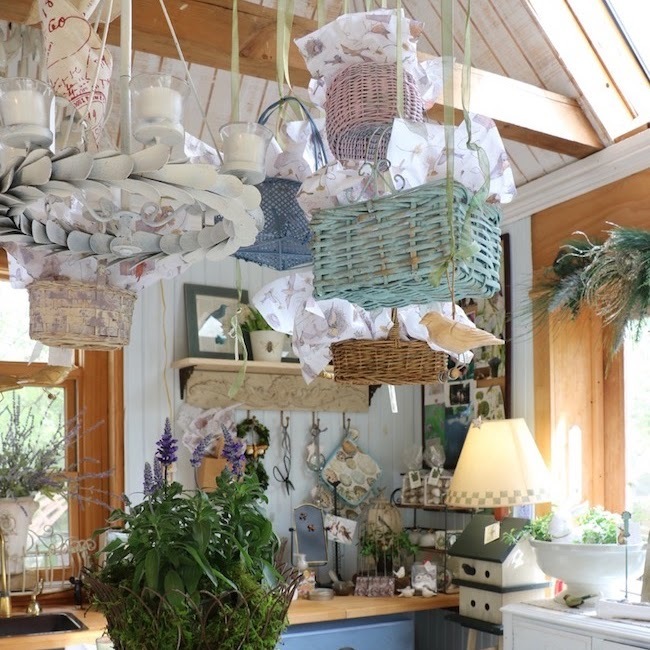 Those bottles in a row are dreamy.
. . . and the shell clothespins! I am pinning them into "my secrets" so I may fashion some for Camille's mother for a gift! Thank you for visiting. 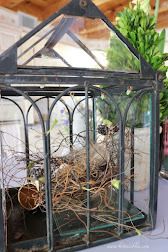 I hope to ease back into the blogging routine again by sharing the wedding! Everything you do is simply splendid. I LOVE Hydrangea so much and you've made good use of styling something seemingly so simple and making it absolutely perfect for the season. I love the little shell container. I have a bunch of shells on tall tooth pickets (I didn't make them), but I'm thinking I might need to make some shell clothes pins. 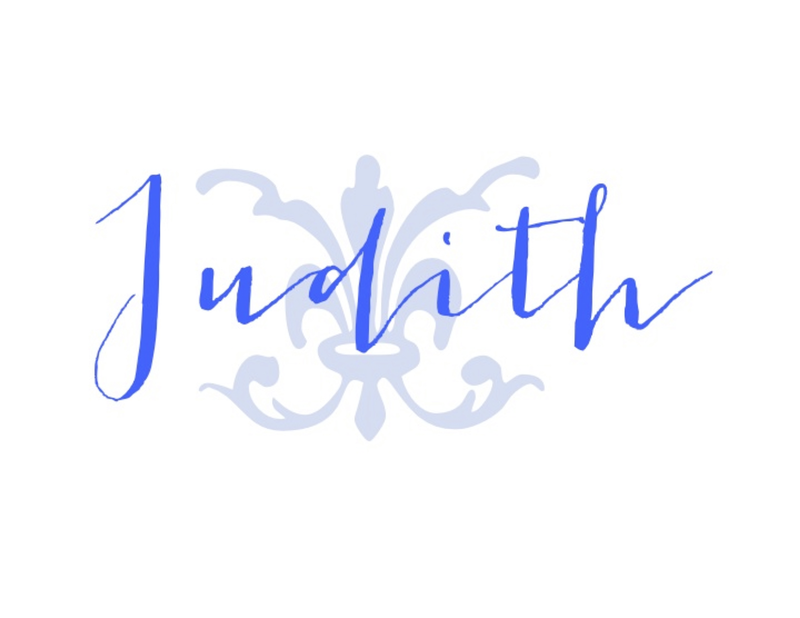 A beautiful setting, Judith. Love that mix of blues! Beautiful! Everything was chosen with such an eye for detail. I am loving the soft colors you used. It all looks so cool and refreshing! setting for your table as well. Thanks for sharing it.